In the AH to go store, the customer scans the electronic shelf tags. He scans the tags using either of the following two options, the tap card or his / her mobile phone. The scanned products are added directly to the digital shopping cart. Has the customer changed his mind about that chocolate cake? Then he can return the product by simply scanning the shelf tag again. The balance is then immediately updated. Does he have all the groceries he needs? Then he simply walks out of the store and continues with his day. Standing in line at the cash register or paying at a self-service checkout is no longer necessary. The purchase price is automatically withdrawn from the customer’s bank account after 10 minutes of inactivity. This way, the payment process is also completely automated. Something from the future? Not at all, the first AH to go store with hyperfast shopping was used as a pilot at the end of 2017. After extensive testing and improving, Albert Heijn opened three more stores in September, with national expansion on the horizon. This time with CM.com as partner for payments and identification. 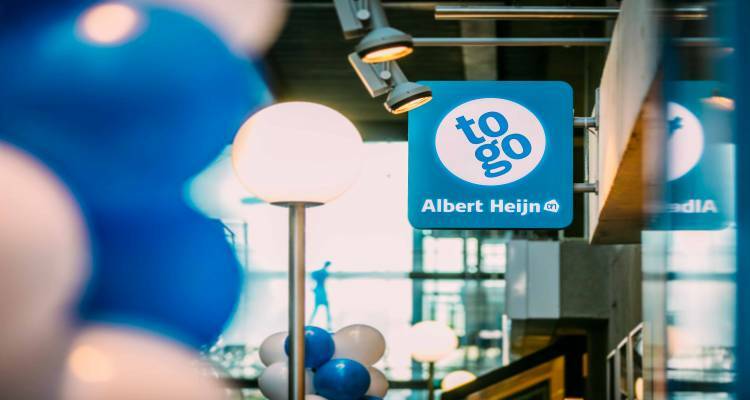 Albert Heijn took grocery shopping in a new direction with Tap to go. Consumers want fast. Consumers want convenience. Jan-Willem Dockheer, General Manager of AH to Go NL, explains: "AH to go is already known as the store where it’s all about speed, where you can buy something very fast. But if the train leaves in 2 minutes, we notice that many customers don’t come in. Because even though AH to go is all about speed, we too have queues at the cash register. Reducing the average shopping time from 3 minutes to 20 seconds, that was the mission." On the eve of 2018, AH to go started with their first pilot, a cash register-less store in the Atrium at the Ahold Delhaize headquarters. With everything that has been learnt in this first pilot, the pilot will now be expanded with AH to go locations in the AMC and at the Amsterdam GVB. This way, Tap to go will open its doors to consumers, with the busy and rushed Central Station as the ultimate test. During this second pilot, Tap to go must become even easier to use for the consumer. The tapping of the smart shelves during the 1st pilot was only done with a tap card. At the launch of the second pilot in September 2018, consumers can also use their mobile phone to tap the smart shelves. The onboarding process has been made simpler and more secure as well, with CM.com as partner for identification and payments. Furthermore, AH to go will take over the loyalty card function from the well-known AH to go app in Tap to go. Personalisation and loyalty programs will eventually complete the experience. CM.com is therefore proud to play a role in this new success story of AH to go. Jeroen van Glabbeek, CEO of CM.com: "CM plays a crucial role regarding technology in this project. We process the consumer data on our Customer Data Platform. We also take care of the payments in a frictionless way, without any actions of the store or consumer, completely automated. And because CM.com's technology guarantees payment for the store, it can simply close its cash register every day, while fraud and abuse is prevented by smart self-learning software." Never before was this form of mobile technology used in the Netherlands to make life easier for consumers. Jeroen: "This is a real breakthrough for both retail and payments. The first store where you can pay without checkout. What we prove in practice here is a starting point for a whole wave of Next Generation Payments." We look forward to that future with great enthusiasm. In addition to the example above, CM.com is currently working on a new service which companies can use for seamless and guaranteed payments from their customers. Would you like to know more about how mobile can guarantee the future of your company? Feel free to contact us, or take a look at our platform. The Nederlandse Loterij is the gambling organization in The Netherlands, known for the Staatsloterij, Lotto, Toto and scratch cards. All gambling games from the Nederlandse Loterij are intended for people aged 18 and older. 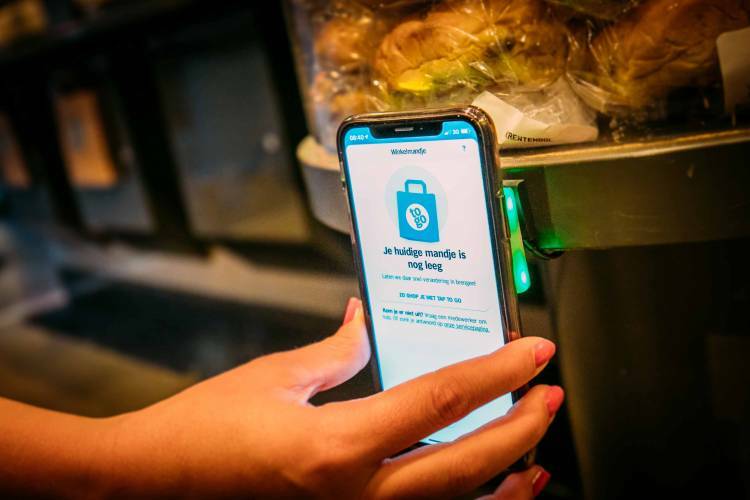 On the 30th of May, the Nederlandse Loterij introduced iDIN (the online tool for safe and easy identification via the bank) to verify the age of online participants.